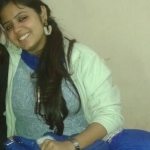 Apoorva Tiwari from Delhi, B.Sc Graduate. Resume For The Post Of Microbiologist . Apoorva Tiwari is RESUME FOR THE POST OF MICROBIOLOGIST . and currently have no work experience. are one of expert skill area's of Apoorva Tiwari . Apoorva Tiwari is working in Quality/Process Control industry.